FILE- In this May 5, 2018, file photo Republican Gov. Paul LePage speaks at the Republican Convention in Augusta, Maine. The former governor of Maine said any elimination of the Electoral College would hurt white people. LePage told WVOM-AM that allowing the popular vote to choose the president would give minorities more power and that “white people will not have anything to say.” Proposals to eliminate the Electoral College are often floated but fail to gain traction. A Maine legislative committee plans to discuss a proposal this week. 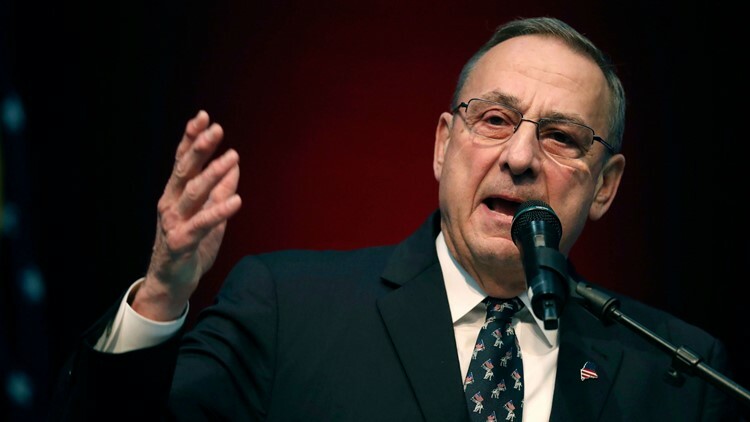 AUGUSTA, Maine — Maine's corrections department says the former governor pardoned two people in his last days in office without consulting the clemency board and holding a public hearing. But former chairman of the clemency board Leonard Sharon says he never saw a governor grant a pardon without a public hearing in his 27½ -year tenure.